People are usually better in the abstract. It’s a line from “Orange is the new black” and one that stuck with me because it’s spot on, especially concerning my online dating exploits. I’m concluding my sandwich series with one that I’ve been anticipating making for over a year – the low-brow St. Paul Sandwich. Called the St. Paul, but created in St. Louis, and not even available in St. Paul (go figure), it a piping-hot egg foo young patty (how 1960’s!) 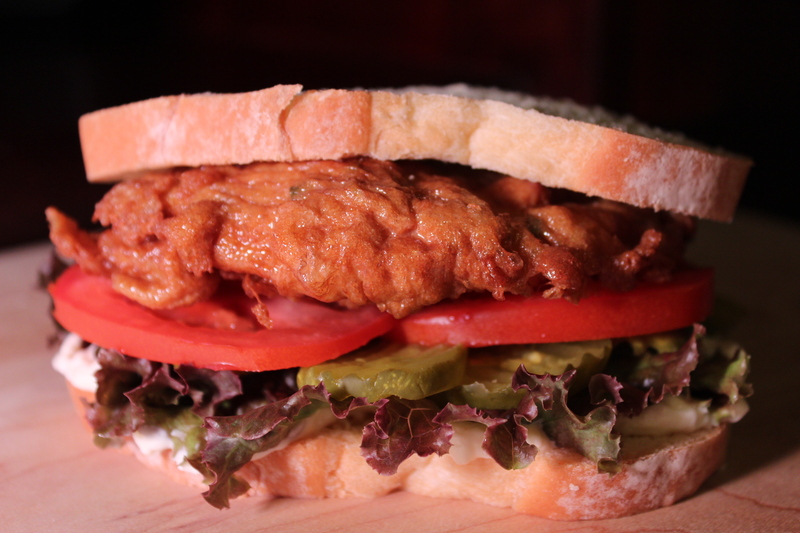 with lettuce, tomato, zingy dill pickle slices and unctuous mayonnaise, all sandwiched between pillowy-soft, Wonder-style, white bread. It’s dirt cheap and the perfect foil after a night drinking. This was to be my sandwich magnum opus. But alas, my St. Paul sandwich is…also better in the abstract. I took two bites, plucked out the egg foo young and pitched the rest in the garbage. Perhaps they’re better in St. Louis. While waiting for my plane, a nattily dressed man sat down next to me in my pleatherette chair. His breathing was labored, as if he had OJ Simpsoned through the terminal to catch his flight. I didn’t bother looking over until I noticed he was still breathing intensely five minutes after he planted himself next to me, as if it was a triathlon and not an airport sprint. When I glanced in his direction, his socks instantly seized my attention. He had removed his oxfords, revealing brown socks with hot pink and orange polka-dots. Inscribed across the instep were the words “Funky Socks.” I should say so! “Excuse me,” he said after a few minutes. “I seem to have left my wallet at the security checkpoint. Would you mind watching my bag while I go back?” Why me; why is it always me? I vacillated for a moment, but was eventually convinced. He placed his orange and hot pink polka-dotted feet back in his brown oxfords and leisurely made his way back towards security. The dilemma – Do I miss my flight, waiting until Mr. Polka-dot returns or do I desert my watch and hop on my plane? I attempted to hand the bag to the flight attendant at the door, but she would have nothing to do with it. In the end, I abandoned his bag near the jetway and settled in seat 16D with just moments to spare. I feel guilty and maybe a better person would have missed their fight. I’m certain I now have a black mark on my traveler’s Karma which will most likely appear as lost luggage, four hours on the tarmac or a missed connection. Sigh. Combine Fennel, parsley, 2 T. oil, salt and pepper. Roughly mix with hands to bruise and soften fennel. Set aside. 2. Combine mayonnaise and Siracha. 3. Combine tuna, capers, juice, 1 T. oil, balsamic and pepper. 4. Spread two slices of bread with siracha mayonnaise. Cover with lettuce and radishes. 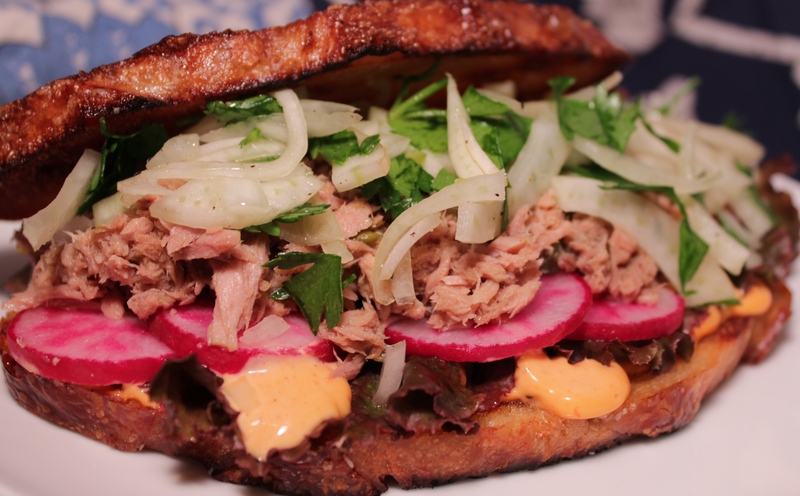 Pile high with tuna and finish with fennel. Cover with additional bread slices, cut in half and enjoy. 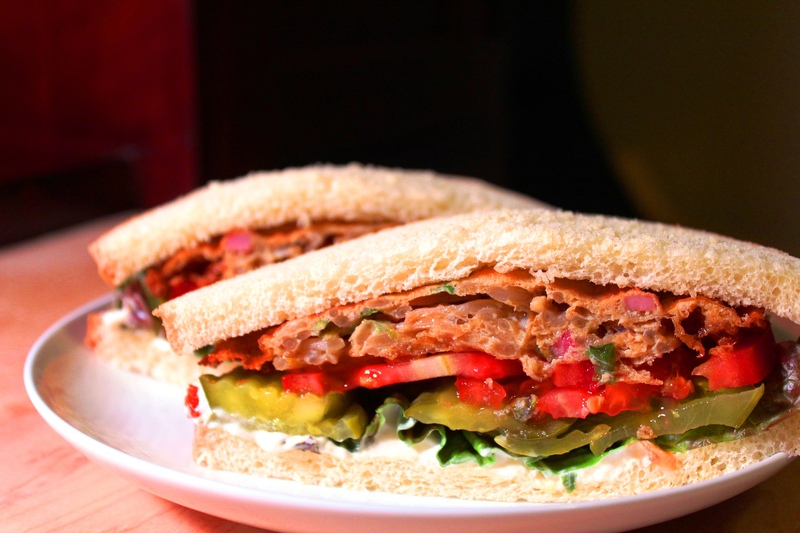 A couple of years ago, my ex boyfriend told me about his idea to open a shop that sold sandwiches with stew fillings. For lack of a better word, I’ve been calling them “Stewwiches”. I caught on to his concept quickly: tummy- warming, home-comfort stews wrapped in a crusty roll – what’s not to like? So, while we were still dating, I put my culinary skills and his brainchild to the test. Stewwich numéro un : Boeuf Bourguignon. I used my My Frenchy-French culinary school Bourguignon recipe (authentic and time consuming) on an Argentinean roll (Have you had Argentinean sandwich rolls? Crusty outsides wrapped around fluffy interiors – perfection) with Dijon mustard, pickled onions and smoked gruyere cheese. The first night, they were good, but the day after – perfection! I should have known -a good stew always gets better overnight. Fast forward two years to what seems to be the warmest summer day in history (without A/C, it sure FEELS like it) and I decide to make Stewwich número dos, Chicken Tinga. Since when does “summer” and “stew” not go together? A few weeks ago, In Phoenix, I sat in on a cooking class for making Chicken Tinga. Translation, it’s Mexican shredded chicken stew. As I sit in my sweltering dining room, I envision a crunchy roll with a layer of more-smokey-than-spicy chipotle mayonnaise, Chicken Tinga, pickled onions (yes, there was pickled onion on the last one, which was a good crunchy, vinegary contrast to the stew), cotija cheese, creamy cubed avocado, cilantro and crisp lettuce. Oh, dream on, dear Phoren. Sweat onion and pasilla. Add garlic and sauté briefly. Add tomatillos and tomatoes and cook until softened. Add chicken, broth, chipotle, adobo and spices. Cook uncovered until chicken is shredded completely, 75 to 90 minutes. Mix together all ingredients except water. Pour hot water over ingredients and stir together. Let sit for 30 minutes or more. Spread rolls with mayonnaise, layer lettuce and chicken. Garnish with onions, cheese, cilantro, and avocado. When assembling, I forgot the avocado, and it was still frickin’ delicious! 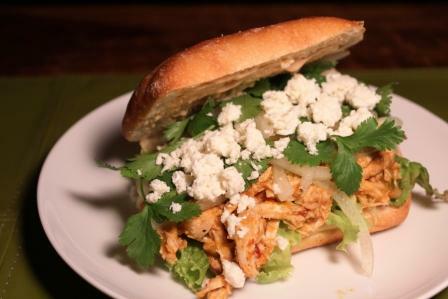 Chicken Tinga Sandwich – even without the avocado, still amazing!